Have your hardwood floors seen better days? Flooring Service Group is here to turn back the clock. Whether your floor needs refinishing or to be completely replaced, we've got the experience and expertise to get the job done right. We're proud to serve the citizens of Norcross GA with excellent flooring services. 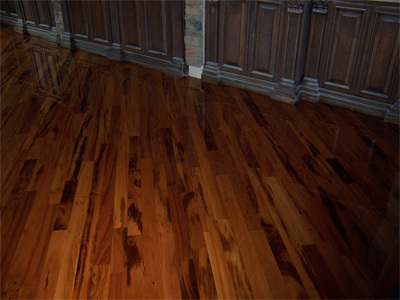 Our experts will walk you through the entire process so that we can get your floors looking exactly how you want them. At Flooring Service Group, our staff is expertly trained in hardwood flooring installation, sanding, staining, and repairing. We can professionally install engineered or prefinished floors with precision and craftsmanship. We've been serving Norcross GA and the surrounding areas for nearly a decade. There's nothing we enjoy more than giving homeowners a floor they will love and appreciate for many years. With their warm beauty and timeless luster, nothing brings a room together better than a well-finished hardwood floor. Whether it's bamboo, solid oak, or walnut, hardwoods have the ability to stimulate the visual senses. However, hardwood floors do more than look nice. For instance, it's much easier to clean up a mess made on a hardwood floor than carpeting. Hardwood floors also have the potential to increase the value of your home. On top of that, they're relatively easy to repair or replace. They also don't trap allergens such as pet dander, mold, bacteria, and different types of pollen, making them better choices for allergy sufferers or those with asthma and chronic lung disorders. If you're in need of hardwood flooring repair, replacement, or installation, Flooring Service Group is here to help. Our Norcross GA hardwood flooring team will serve you with professionalism and help you decide on your best flooring option. Simply give us a call at 678-697-0710 or fill out our contact form.